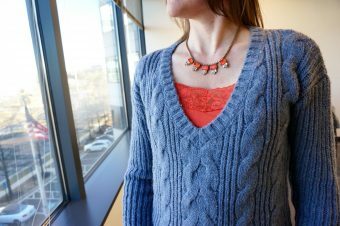 This post was part of a series on how to wear the Pantone Seasonal Colors (Primrose Yellow) from 2017. For posts on the other colors visit the Pantone Seasonal Color Page. Primrose Yellow is no shy shade. This color sparkles with heat and vitality and brings the notion of warmth and sunshine. The color can’t help but make you smile and put you in a cheerful mood. I see this as a great accent color. I styled a casual navy dress with a pop of this color. The statement necklace is a perfect way to introduce more color (Zenzii Beaded Multistrand Collar Necklace). Feeling bolder? Look for statement pieces and add fun accessories. 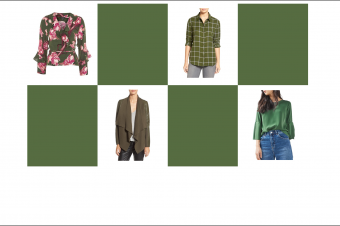 This post is meant as a guideline to give you ideas on how to effortlessly incorporate new colors into your wardrobe. Hopefully you found some inspiration.